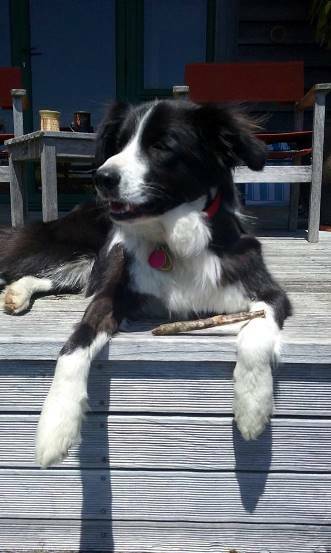 Rafa was a 3 year old border collie who had an unfortunate incident with a stick on the beach. 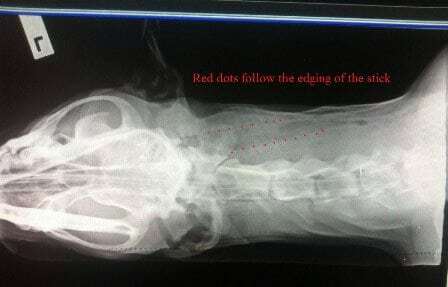 Rafa presented to the clinic with a stick of unknown length lodged in the side of his throat.… He was then given a general anaesthetic and an xray was taken to examine the extent of damage the stick had caused. 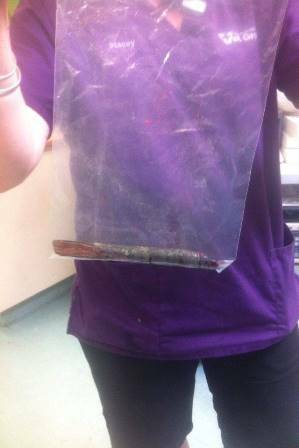 To our amazement the stick was a whooping 18cms long!!! Oh the joys of being a dog!